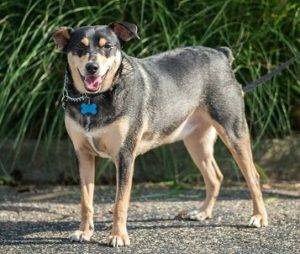 WILLIAM is a small Cattle Dog mix, the size of a chubby Beagle. He has a tuft of hair growing from the corner of his eye that looks like a feather- so fancy! 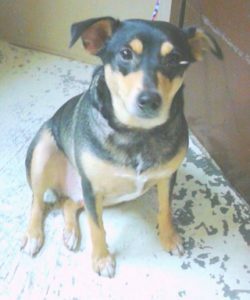 Originally, this poor dog was found stray at Belmont Lake State Park by a Good Samaritan. Was he abandoned as often is the case at the wooded park? No owner claimed him at Babylon Town Shelter so he moved to Last Hope. He’s a loyal companion and we hate to see him wait so long to find someone who will embrace his fidelity.